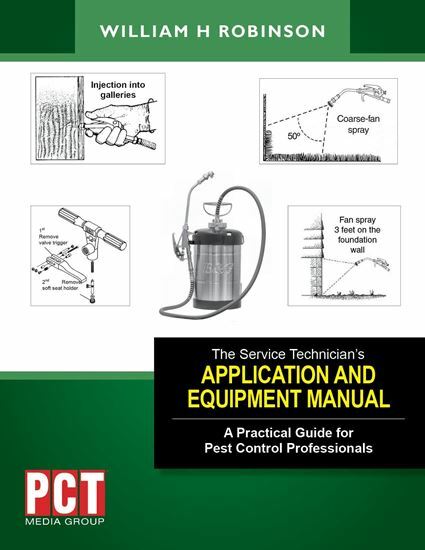 The Service Technician’s Application and Equipment Manual by noted industry author William Robinson is a must-have book for everyone in the pest management industry who uses any type of application equipment. 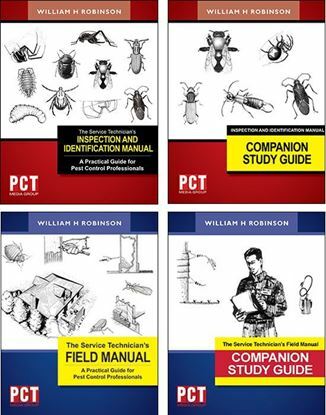 Like Robinson’s previous books in the series, The Service Technician’s Field Manual and The Service Technician’s Inspection and Identification Manual, his latest offeringis a practical guide to the technician’s daily activities – in this case, the use and maintenance of standard pest control equipment. For technicians just starting their careers in the pest management industry, it provides a foundation of basic equipment knowledge; for experienced technicians, it provides valuable insights about how to properly maintain pesticide application equipment and apply pesticides more efficiently. The 128-page, easy-to-understand manual, published by the PCT Media Group, is divided into two sections. Following the Introduction, chapters 2 through 8 focus on application methods including Liquid Application, Structural Wood Treatment, Soil Treatment and Termite Control, Foam Application, Fogging and Aerosol Application, Dust and Granule Application, and Gel Bait Application. 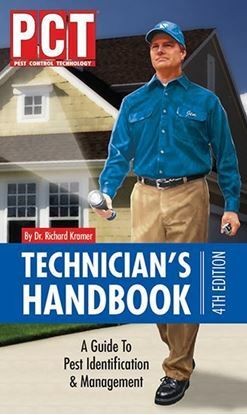 Chapters 9 through 15 provide detailed instructions, illustrations, and parts lists for standard equipment including Traps and Monitors, Compressed-Air Sprayers, Foggers and Aerosol-Application Equipment, Foam-Application Equipment, Soil-Application Equipment, Dust- and Granule-Application Equipment, and Gel Bait-Application Equipment. Robinson, one of the country’s leading experts on pesticide equipment, has been Technical Director of B&G Equipment Co. since 2000, prior to which he spent nearly 30 years conducting research and teaching at Virginia Tech and Zhejiang University in Hangzhou China. Robinson has published more than 250 papers and articles on ants, cockroaches, fleas, wood-infesting beetles, wood protection, and application technology along with the textbook, Urban Entomology (1995), and the reference book, Urban Insects and Arachnids (2005). He is Chair of the Executive Committee of the International Conference on Urban Pests and earned his M.A. at Kent State University and Ph.D. at Iowa State University working on phorid flies.